So one topic that we all hear over and over is VOLUMETRIC LIGHTING ( caps intended ). Why? Because its so damn awesome. Why not? Because it can get expensive depending on the hardware. So after countless of tries I scrapped the code I’ve been wanting to shoot then resurrect then shoot again and just wrote what made sense, and it worked! // Does this position recieve light? Thats all! Until next time! So I got a basic backbones of the simulation system up and running. 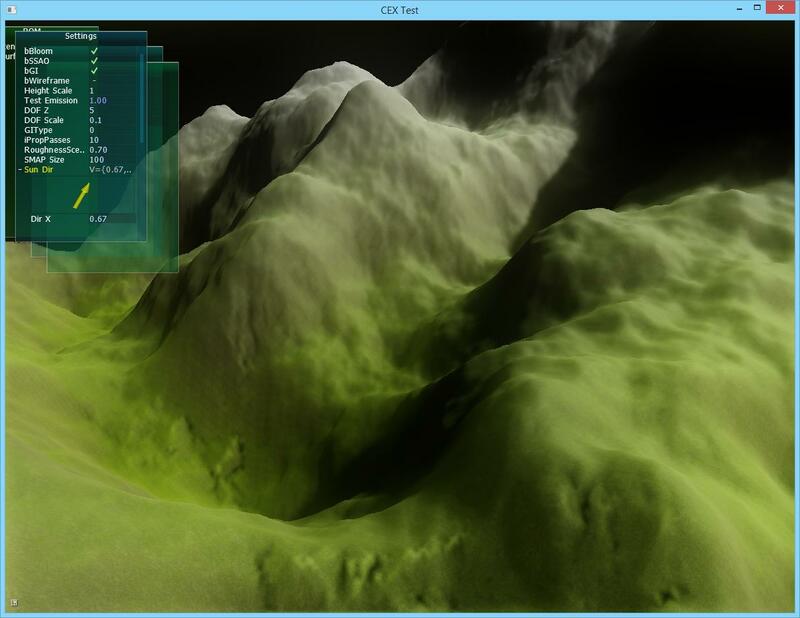 The simulation happens in a compute shader, and everything just works out, which is great! 🙂 So to test it out I put two point masses with low intensity a bit from eachother, and this was the result. Next step will to be stretch the particles based on velocity for a fake like motion blur, and then allowing the particles to collide with the objects around them. 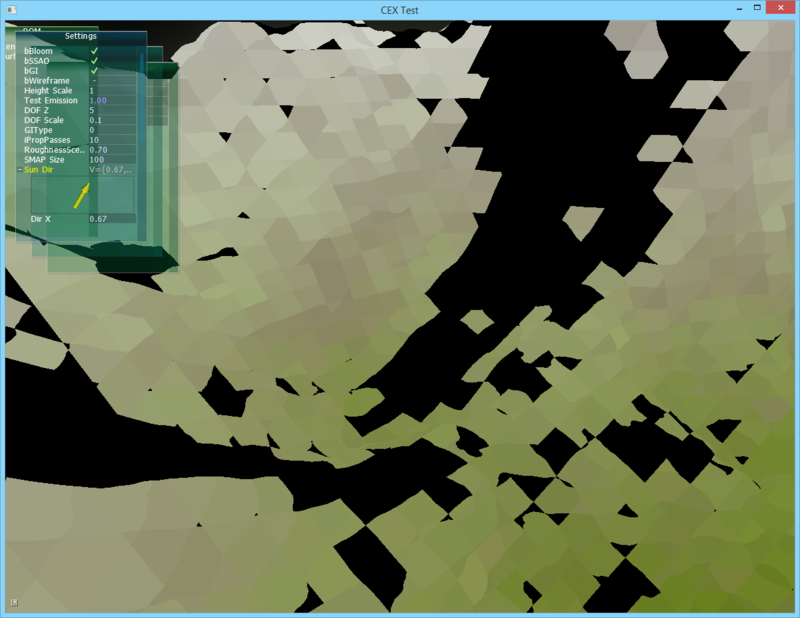 So thanks to this awesome community I got my particle system up and running using structured buffers. 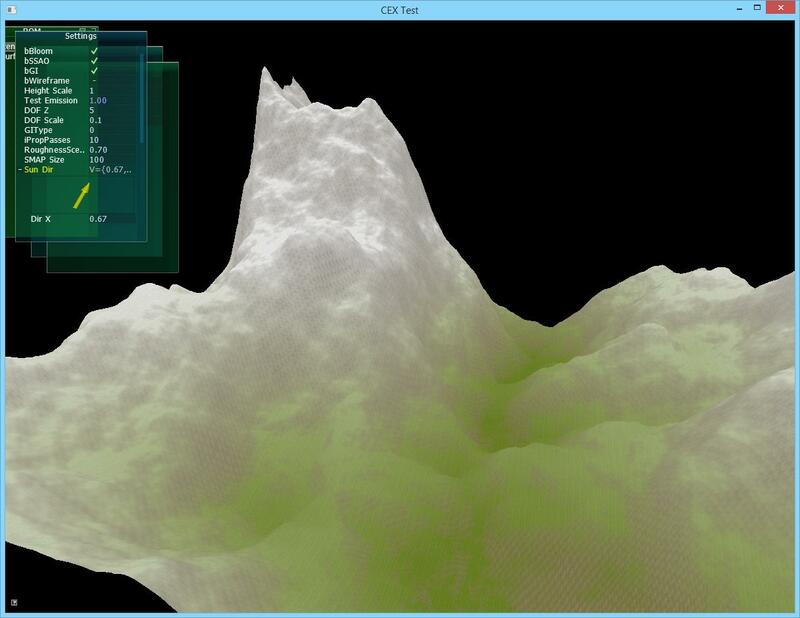 My next step will be simulations with it, my goal is to make my particle simulation in the world entirely GPU based. Thats all, until next time! 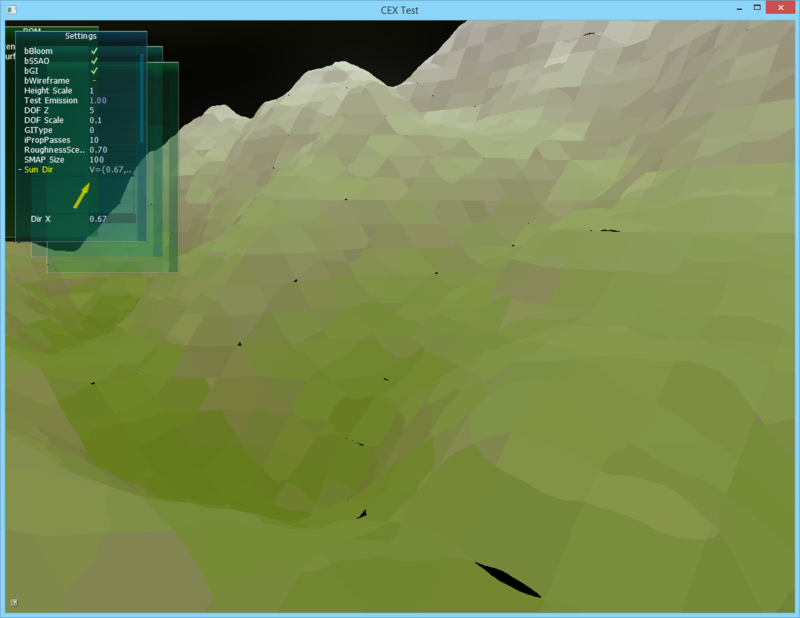 Terrains are awesome, so therefore I’m trying to mess around with them. 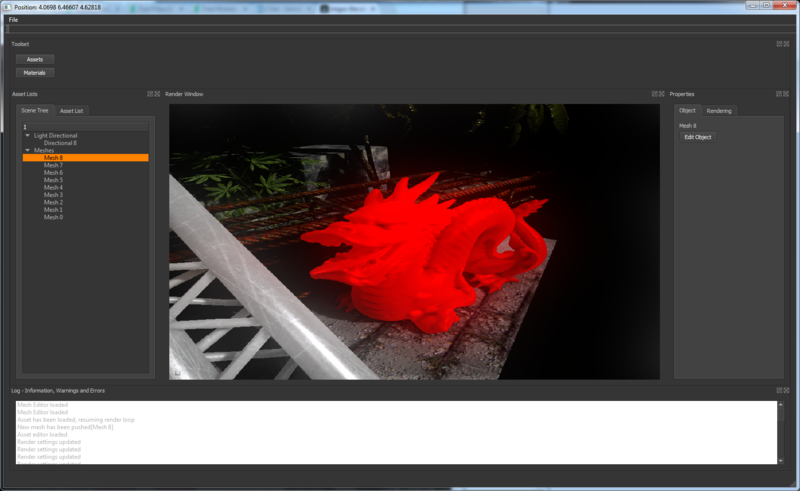 But in the process I saw this nightmare when voxelizing, not good. The shader if anyone is interested. Really simple. Thats it, just a bit of progress! So we all hate manually ajusting positions and such. “Ohh it should be 0.1 to the right, ohh well, better recompile…. Hmm no actually 0.05” and so on… So I decided I wanted to make an editor, or start. Now I had a great problem, which was the fact that my project was built under the /MT option. This was mainly because the normally distributed Physx libraries were built under /MT too. But Qt was built under /MD, and if I recompile Qt under /MT there are certain bugs such as the designer not working ( They also document this ). So, what to do!? So theflamingskunk ( user here ) came to action and said: “But wait! 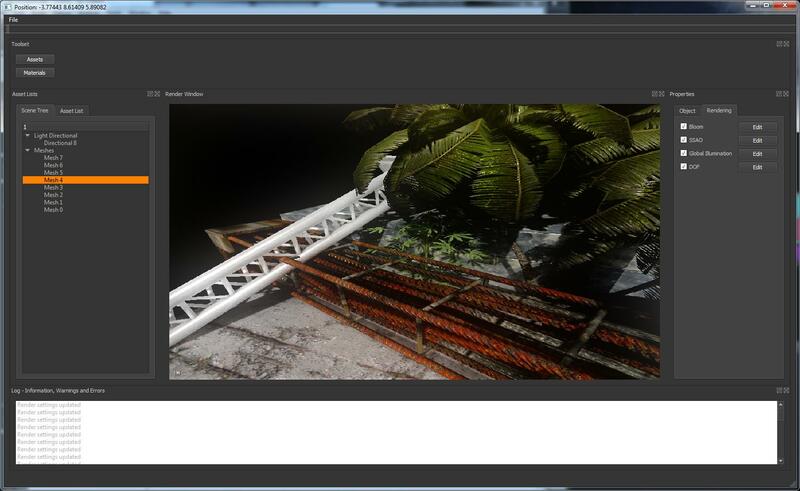 There is a Physx MD ,here!”. I mean, cmon, what are the exact chances of this happening, first time I ever see this guy in chat ever ( Been off chat for a while though ), and he has the perfect solution, awesome! So after building my project under /MD and reconfiguring ( Takes time, so many linker errors! Argh! ), I finally successfully linked to Qt. 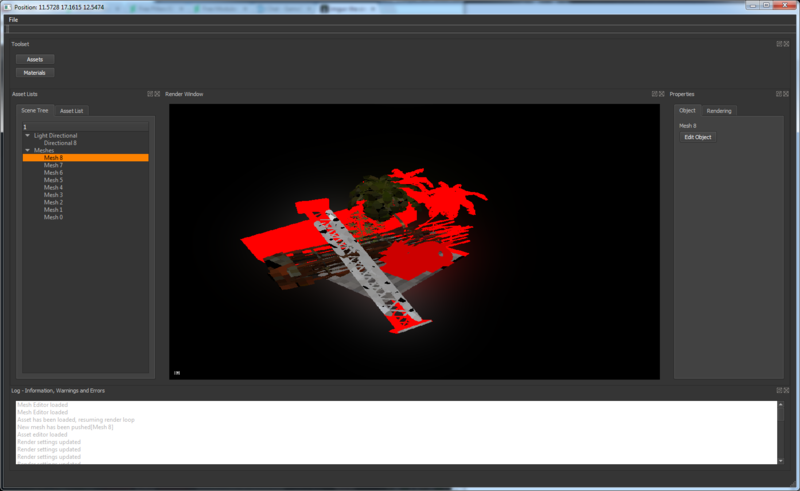 However I cant build under /MDd for some reason, not sure why… So no qt debug mode, but it hasnt stopped me, hehe. Screenshots! 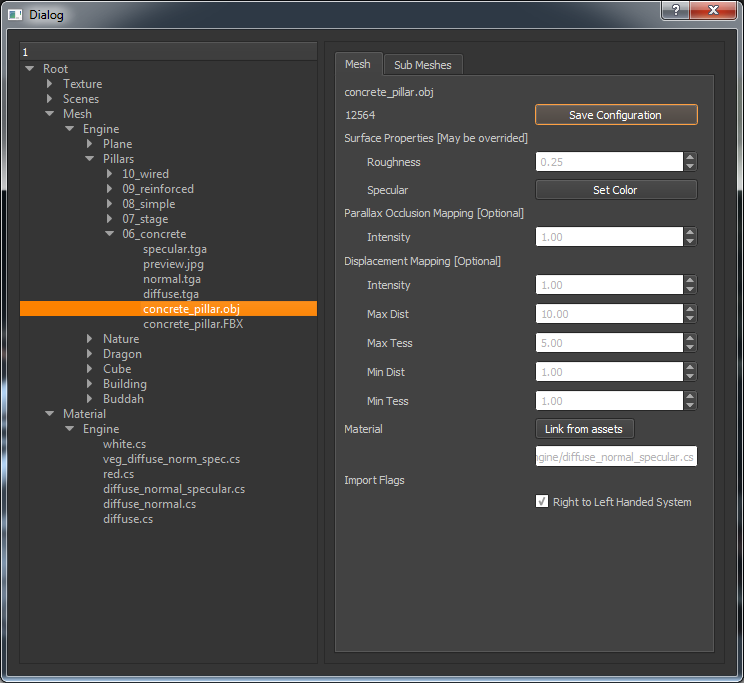 Main Editor, where you place stuff and stuff. 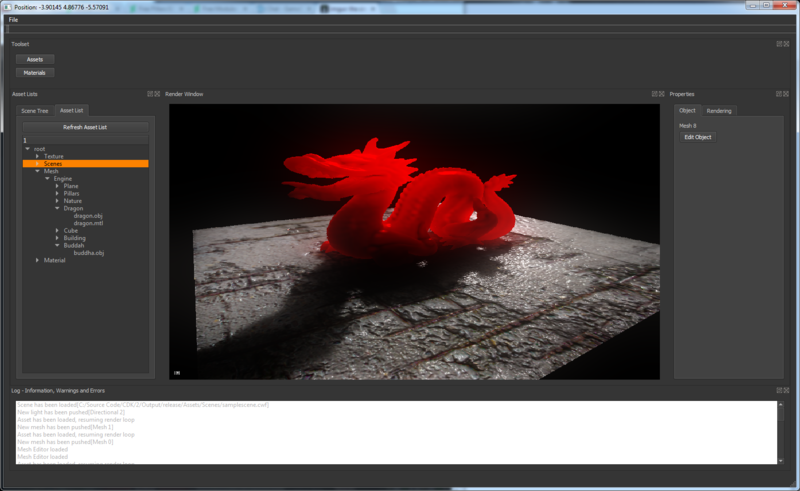 Currently suppots Assets ( A preconfigured mesh ) and Directional Lights. 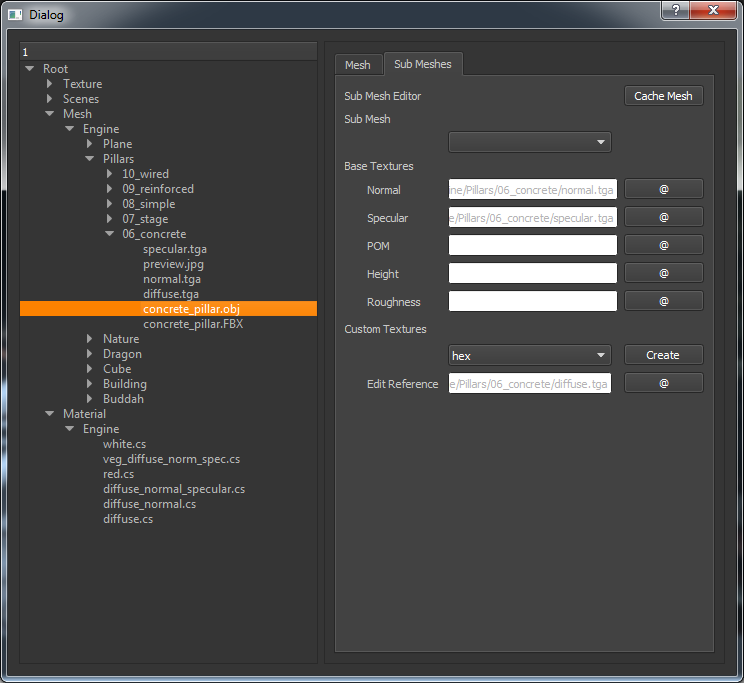 Now the asset editor works pretty well in my opinion. The first tab is the base per mesh options, such as material, and so on. However they can change with textures and such. Funny thing: I ended up calling the class that handles the asset configuration AssConfig, because I could. So I was an idiot and used Asus Ez update to update a few things, and by mistake selected a new bios. Now the problem is that Ez Update isnt really good for bios updates. Right, so I didn’t cancel it in time and it just got stuck on 99%. Now I was really afraid of cancelling the update, because you know, I might brick my bios. After like half an hour of staying 99%, I just restarted and crossed my fingers. Luckily it actually somehow updated the bios without any errors.